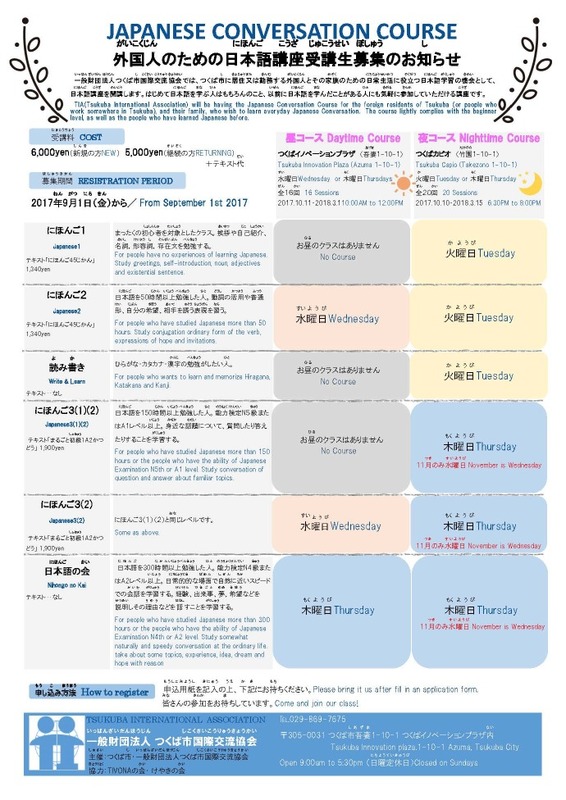 Tsukuba International Association will be having the Japanese Conversation Course for the foreign residents of Tsukuba who wish to learn everyday Japanese Conversation. The course lightly complies with the beginner level, as well as the people who have learned Japanese before. Come and join our class! Copyright (c) 2011. Tsukuba International Association All Rights Reserved.